Welded construction with 1-5/16" O.D. 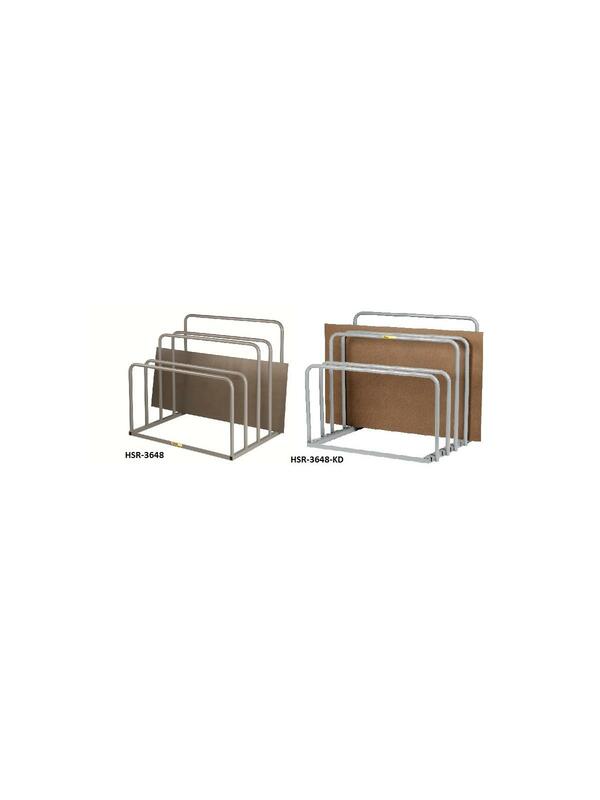 tubular dividers on a base of square tubing and angle iron that includes lag down holes and keeps stored materials up off the floor. Storage bays (4 total) are 7" wide with 1500 lbs. capacity each. Available with an all-welded frame or with adjustable uprights. Adjustable unit adjusts on 2" increments allowing the user to configure the rack to their individual specs. 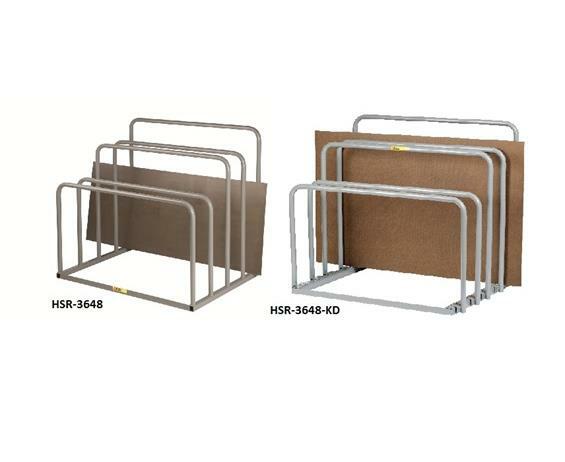 Adjustable unit ships knocked down to save on freight. FOB Shipping Point. 48 x 36 x 43-1/2"48 36 43-1/2"